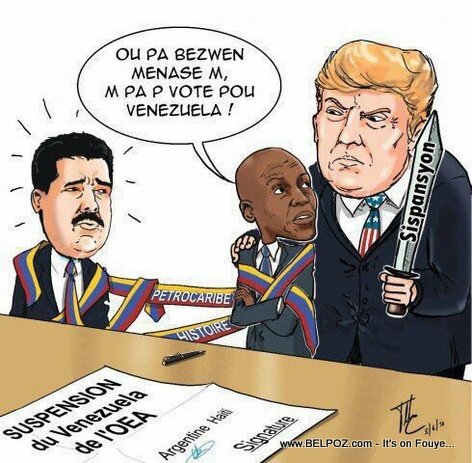 Haiti Caricature: Did Donald Trump pressure President Jovenel to go against Venezuela or else? Until August 3, 2006, Flag Day was celebrated in Venezuela on March 12, the day the venezuelan flag was flown in Jacmel. Wow... Did you know that? « Trump's Zero Tolerance Immigration Policy, didn't he promise to be the 'Champion' of Haitian Immigrants?